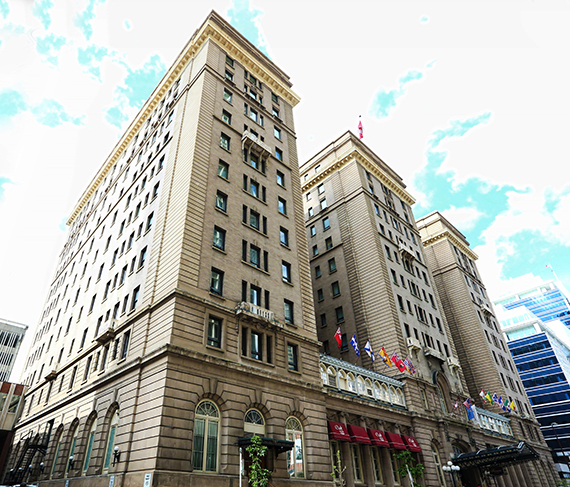 The Fairmont Palliser is the Calgary Philharmonic Orchestra’s Host Hotel. Since June 1, 1914, Fairmont Palliser has been the city’s premier address, the cornerstone of Calgary’s hospitality industry and a landmark building that is rich in history and architecture. For a century, Fairmont Palliser has been the luxury Calgary hotel of choice to celebrate special occasions, and to welcome Royalty, celebrities, and visiting heads of states and nations from all around the world. Please park your vehicle in front of the hotel’s main entrance on 9th Avenue. Rates extended to patrons who enjoy hotel dining outlets or facilities only. Prices include GST. *Rates are subject to change. Impark Lot with access off of 10th Avenue West or East or off of 9th Avenue (East of hotel). Take elevators to third floor and walk West to hotel mezzanine entrance. Please note that the hotel does not own or manage the Impark Lot and prices are subject to change without notice. Visit Impark’s official website here. The nearest train station is half a block away, at the base of the Calgary Tower.